At Animal Wellness Clinic of Tamarac, our team is made up of a diverse group of veterinarians and support staff professionals who bring their love for animals to work with them everyday. Our veterinary team comes from all backgrounds, and they have joined Animal Wellness Clinic of Tamarac because of their desire to make a difference in the lives of animals, as well as the people who love those animals. Animal Wellness Clinic of Tamarac is an animal care facility equipped to handle all medical and surgical needs. From preventive health care services to advanced diagnostic and surgical services, our doctors and staff are trained to manage all of your pet's needs. We are continually updating our equipment and educating our team to the latest medical information. We know that everyone has a budget and we will work within the confines of your budget to get the best outcome for your pet. Animal Wellness Clinic of Tamarac (formerly known as Sadowsky Animal Hospital) was established in 2006. 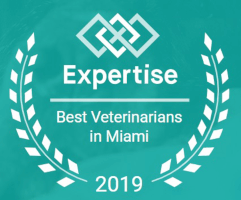 Today under the directorship of Dr.Darko Mladenovic and experienced staff this state-of-the-art facility sets the standard for quality in integrative veterinary healthcare in Tamarac, FL and its neighborhood.